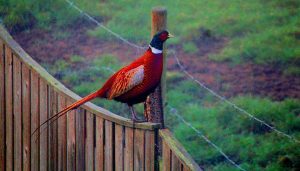 Pheasants are game birds that are often raised on farms. After the chicks reach a certain age, they are usually kept in outdoor, covered pens. Construction of these pens are one of the most expensive aspects of raising pheasants, but is essential for the well-being of your birds. What to put inside the Pheasant Pen? According to GameBirdExpert.com, when raising pheasants you want to provide them with 15 to 20 square feet at a minimum. 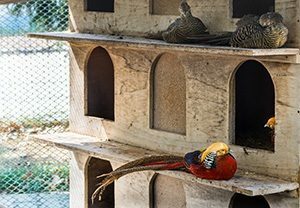 Depending on the number of birds you will be keeping and the length of time you expect them to inhabit the pen, you may want to increase this size. Building the pen in a way that keeps your birds in and predators out. The cost of your pen. The expected usable life of the pen. The pen must be resistant to bad weather. You want a pen that is not too difficult to construct. 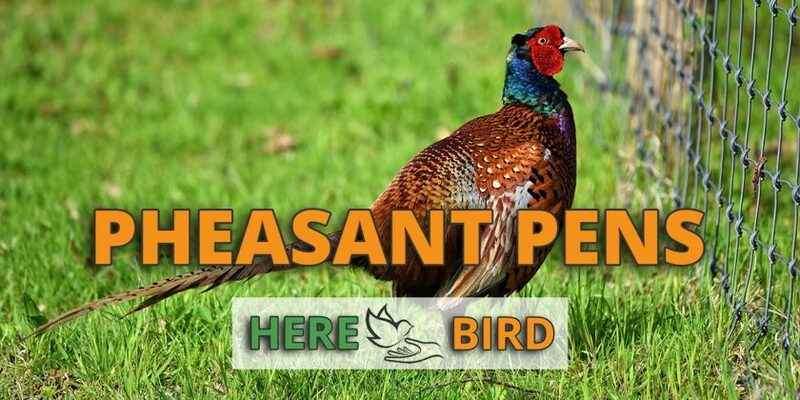 According to Pheasant.com, your pheasants can be very quick and are prone to attempting to escape from their pen. This needs to be factored in to your pen design and care must be taken to use the right size wire. Predators will frighten chicks and they will try to escape and get their heads through the wire where they are easily picked off by the predator. Fence posts – These should be 10 feet (3 m) in length and sunk into the ground so that 7 feet (2.13 m) is left above ground. This provide a study base and will resist wind and attempt by predators to knock them down. Side wiring – This should consist of 18 to 20 gauge galvanized wire with 1 inch (2.54 cm) mesh. The wiring needs to be buried 6 inches (12.7 cm) underground and flared to the outside. This prevents predators from digging under the wire and gaining entry to the pen. Our guide to choosing the correct side wiring and top grid wiring for your pheasant pen can be found here. Top grid – #9 galvanize wire is strung around the top of the poles along the perimeter of the pen with another strand running from end to end and bisecting the pen. This wire is meant to support the roof. Roofing – The roof should be constructed of top rite netting. It should be secured to the top grid approximately every 5 feet (1.5 m) to keep it secure in windy conditions. Taller poles are used down the center of the pen giving a tent-like appearance. You will of course need feeders and waterers for your birds. Using the proper litter is important as you don’t want your birds consuming it instead of their feed. For this reason you should avoid sawdust as if eaten it can cause serious intestinal problems and death to the bird. Chopped straw is a good choice in litter for your pen. An essential component of your pheasant pen is the availability of cover for your birds. By this we do not mean the roof of the pen, but rather vegetation that allows them to hide and interact in a natural setting. An ingredient in producing good cover is to rotate the pens or at least till the soil before planting this year’s crop. The cover you choose can be corn, milo, or other crops but they must be managed once they begin to grow. A good rule of thumb is to have a clear path through the center of the pen that is free of cover. Excess cover will tend to make the birds congregate around their feeders and not make use of the full pen. You should aim for 20%-25% of open space in your pheasant pens.